New Year's Day 1986 saw a further change in Radio Caroline's format with the introduction of separate services throughout the night. Instead of the two frequencies linking after the sponsored religious programmes had finished a new "Caroline Overdrive" service was introduced on 963kHz with the traditional Caroline rock and album music, while Caroline 558 continued with its pop-orientated service. Weather once again played its part in the fortunes of the Ross Revenge during January 1986. Code numbers were read out on Caroline Overdrive during the late evening of 30th January 1986 and at 2.00am the following morning the 963kHz transmitter was closed. Caroline 558 continued broadcasting a little longer and the emergency code numbers were read out repeatedly for another half hour until that transmitter too left the air abruptly. The Ross Revenge had broken from her anchor and was adrift in the Force 8 gale. Lifeboats from Margate (Silver Jubilee) and Sheerness (Helen Turnbull) were launched to assist the twelve people on board the radio ship, but by the time they arrived the crew of the Ross Revenge had managed to start the engines (which had overheated) and the radio ship was able to head back towards the Knock Deep. During the storm the Ross Revenge had drifted some nine miles from her anchorage to a point inside territorial waters near the Tongue Lightship and she was escorted to the Knock Deep by the Sheerness lifeboat which stood by until the early hours of the following morning when the radio ship's own emergency anchor was lowered. Transmissions on 558kHz resumed briefly for 35 minutes with non-stop music and an announcement that regular Radio Caroline broadcasts would recommence at the earliest possible opportunity. However, the 963kHz transmitter was not put on the air and Radio Monique remained silent. 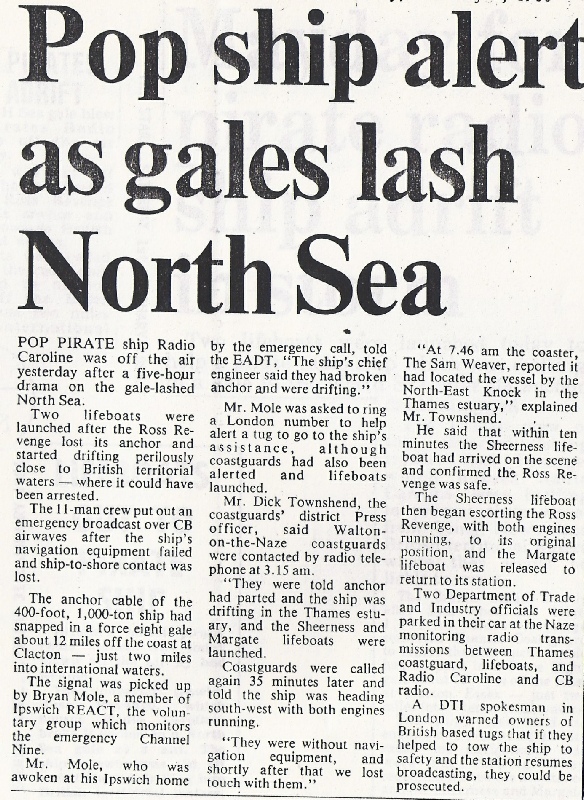 Department of Trade officials, who had monitored the emergency call made from the Ross Revenge on a Citizens Band frequency, later warned tug owners along the east coast that they would be prosecuted if they assisted the radio ship back to her anchorage and broadcasts resumed. Just how effective such prosecutions would have been is debatable because the Marine etc. Broadcasting (Offences) Act 1967 permits other vessels to assist a radio ship, or any person aboard her, in times of distress but does not make this assistance conditional on the radio station remaining silent afterwards. Frequent transmitter breakdowns, staff shortages and periods off the air for 'essential maintenance' meant Radio Caroline was unable to maintain 24 hour programming during February 1986. The expected Radio Caroline shortwave service, promised for the end of February 1986 by US Sales Representative, Vincent Monsey, did not materialise. Since shortwave tests in November 1985 a new shortwave aerial system had been constructed on the Ross Revenge and it was now planned that the 'World Service' should start in April 1986. There was some speculation about this time too that Radio Caroline may start FM transmissions, although nothing ever came of this plan. A further development in February 1986 was the rationalisation of the sponsored religious programmes into a service of their own under the umbrella title 'Viewpoint 963'. 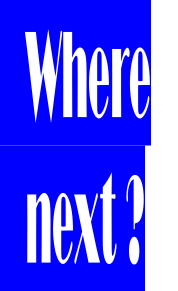 The format changes introduced by Radio Caroline in late 1985 had led to the station becoming increasingly popular, claiming over 5 million listeners by the autumn of 1986, and also attracting interest from advertisers. According to a 1986 audience survey Radio Caroline out performed all the ILR stations in East Anglia while in the general south east area it was more popular than London's Capital Radio. There was some speculation about this time that Radio Caroline may start FM transmissions. There was a difference of opinion about the viability of such a service - some engineers thought that the service area which could be covered would be too small and not be worth the cost of installing and operating the necessary equipment. However, Caroline's New York sales office commissioned a survey of south east England from transmitter manufacturers Harris. They subsequently reported, somewhat optimistically in many people's view, that with a 25-30kw FM transmitter on board the Ross Revenge coverage of up to 85% of the London and south east area would be possible. Although nothing came of the suggested FM transmissions there was an argument in favour of Radio Caroline providing a 'localised' FM service to the Kent and Essex coastal area to rival the ILR FM stations. Under the provisions of the Marine etc Broadcasting (Offences) Act 1967 it was illegal for British, but not foreign companies, to advertise on offshore radio stations. During 1986 P.D. Brown Autosales of Ipswich found a neat way around this legislation which enabled the company to advertise its services quite legally by using its car sales outlet in Australia to book advertising spots on Radio Caroline. Mr Peter Brown, owner of the garage said he had tried advertising on land-based commercial radio stations but found them 'amateurish' and felt they did not appeal to the type of customers he wanted to attract. He said he was 'very pleased ' with the response to the Radio Caroline advertisements. By mid-July 1986 24 hour programming had been reintroduced on Radio Caroline, but within six weeks both channels had again returned to some 2.00am closedowns with only Caroline 558 staying on the air 24 hours at weekends and Caroline Overdrive providing a full overnight service on just three or four days a week. November and December 1986 were punctuated by frequent transmitter and generator breakdowns causing Caroline 558, 963 and Radio Monique to go off the air for various periods. 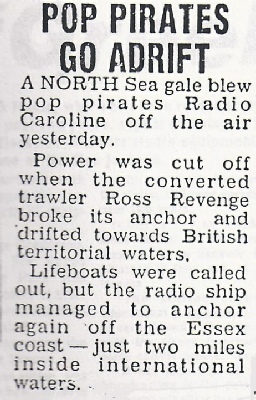 A new BBC local station, Radio Essex, had been due to come on air in November 1986 on 558kHz - one of the frequencies used by Radio Caroline since Laser 558 closed in November 1985. Trade Secretary Paul Channon, who was also MP for Southend West, announced that his Department would take all possible action to help BBC Radio Essex, saying "It is quite unthinkable that a BBC station should be pirated out of its properly allocated wavelength." However, Radio Caroline was not about to change its frequency just to suit a local BBC station, so the problem was eventually solved by BBC Radio Essex being granted the use of 729kHz (the original Laser frequency). Station Manager Richard Lucas denied that BBC Radio Essex had suffered an major setback as the result of Radio Caroline broadcasting on its allocated frequency. "All that had been needed," he said, "was the construction of an additional transmitter at Maningtree to serve the north of the county." What he did not say though was that this additional outlet had cost licence payers £10,000.